AFP Ottawa is truly a diverse community -- of people who make a life bringing people together to support efforts to create a better community, country and world. We actively seek and achieve a broad representation of experiences, perspectives, opinions and cultures. After all, inclusiveness is an essential source of vitality and strength for the effective pursuit of an organization’s mission. The advantages of joining, getting involved, and providing support to your professional association are many. Most important, it helps your career and your charity to advance! Spots are already filling up fast for the Future Leaders Program! Are you an aspiring young person seeking to break into the nonprofit, philanthropic sector? Or are you a seasoned professional in this industry, looking to give back and impart some of your knowledge to a promising protégé? 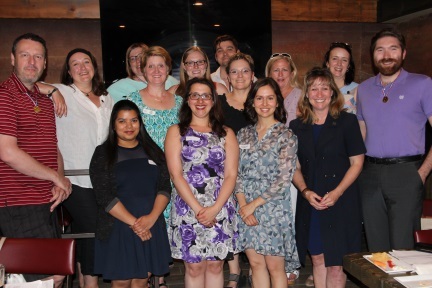 The Association of Fundraising Professionals (AFP) Ottawa Chapter, and Royal Bank of Canada (RBC) are thrilled to open registration for their inaugural Future Leaders Program. 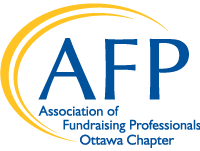 While the program is completely free for protégés, mentors will also receive, among other benefits, a 50% discount at the upcoming AFP Ottawa Fundraising Day, held at the National Arts Centre on May 9th. Sign up and learn more here: https://conta.cc/2EXRvjr. If you have any technical issues with the linked form, please click to download the PDF for mentor or protégé, fill and return to Holly at holly@agentsofgood.org.